Simple Massing Priest: What would they make of it? It has been the practice in England that the see of Canterbury alternates between High Church and Low Church incumbents. On the retirement of the evangelical George Carey, it was the turn of the Anglo-Catholics. Despite his ambitions, Michael Nazir-Ali was probably never really in the running. 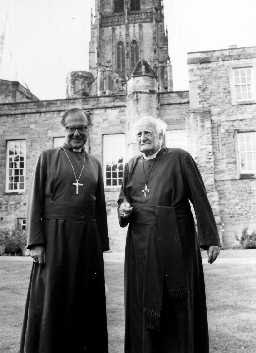 Thus, over the last two generations, the catholic William Temple was followed by the evangelical Geoffrey Fisher, the catholic Michael Ramsey, the evangelical Donald Coggan, the catholic Robert Runcie, the evangelical George Carey and the catholic incumbent, Rowan Williams. Williams, in his previous positions as a seminary professor, and as a bishop and later Primate of Wales had established a firm reputation, not only as an Anglo-Catholic, but as a political and theological progressive. 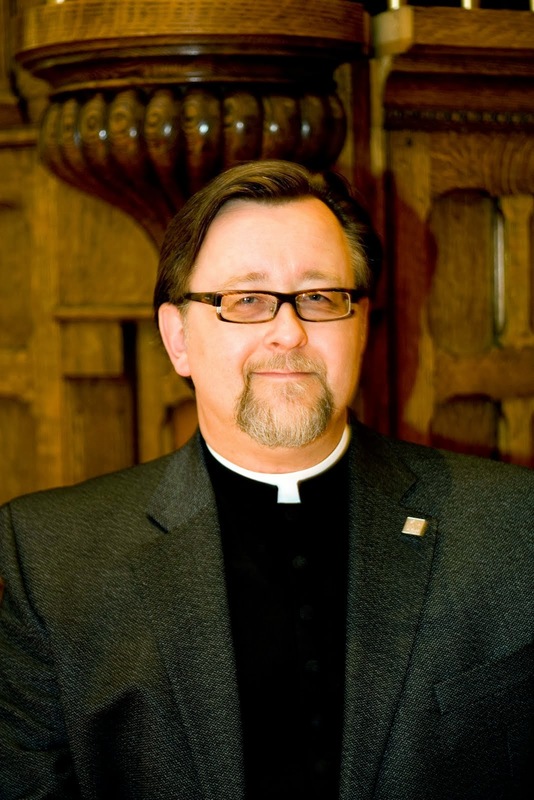 The self-described "hairy lefty" was a member of the Christian Socialist Movement (affiliated with the UK Labour Party), opposed the invasion of Iraq, supported the ordination of women, had written positively about the place of LGBTQ people in the life and witness of the church and had even ordained a partnered gay man to the priesthood. Affirming Anglo-Catholics were thrilled when his appointment was announced. I now have an appreciation for how it must be for any Canadian progressive who was ever so foolish as to have voted for the Chretien Liberals. You get promised a national child care plan and real action on climate change, and instead you get corporate tax cuts, the savaging of Employment Insurance and the pepper spraying of peaceful protesters. We expected an Affirming Catholic in the tradition of Ramsey and Runcie. Instead, we got a centralizing curialist who (by fecklessness, I think, rather than duplicity) has advanced the far right agenda of misogynists, homophobes and the American far right. I am moved to wonder what the great catholic Archbishops of Canterbury of the last century - Temple, Ramsey and Runcie - would have thought of the direction in which their successor and would-be standard-bearer is driving the Communion. With a hat tip to Tobias Haller, here is an excerpt of Robert Runcie's opening address at the 1988 Lambeth Conference. One of the characteristics of Anglicanism is our Reformation inheritance of national or provincial autonomy. The Anglican tradition is thus opposed to centralism and encourages the thriving of variety. This is a great good. There is an important principle to be borne witness to here: that nothing should be done at a higher level than is absolutely necessary. 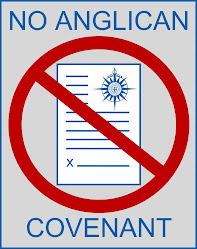 So Anglicans have become accustomed to speak of a dispersed authority. And we are traditionally suspicious of the Lambeth Conference becoming anything other than a Conference. We may indeed wish to discuss the development of more solid structures of unity and coherence. But I for one would want their provisional character made absolutely clear; like tents in the desert, they should be capable of being easily dismantled when it is time for the Pilgrim People to move on. We have no intention of developing an alternative Papacy. We would rather continue to deal with the structures of the existing Petrine Ministry, and hopefully help in its continuing development and reform as a ministry of unity for all Christians. I have trouble imagining that Runcie - who stood up to the free market false gospel of Mrs. Thatcher - would support his successor's curializing Covenant or his open pandering to homophobes and hatemongers.